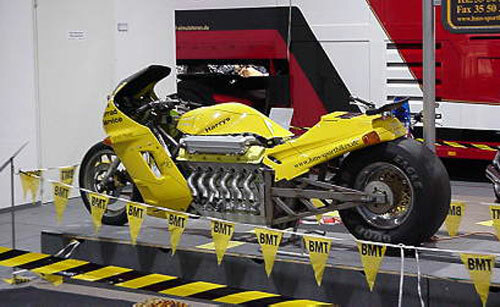 I previously posted about a car powered by a motorcycle engine, so what about motorcycles powered by car engines? I am sure you remember the Dodge Tomahawk powered by the Dodge Viper’s V10 engine. 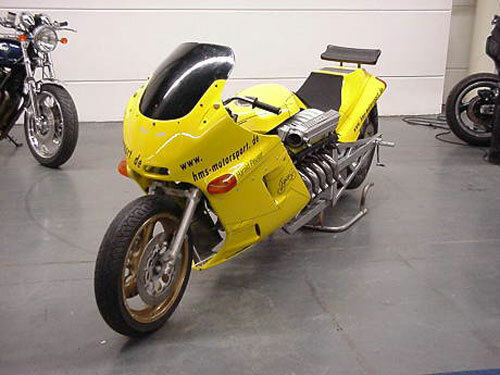 The German boys over at HMS Sportsbikes have built a monster dragster bike powered by a BMW V12 engine. 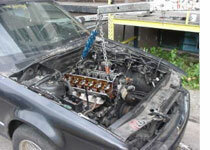 HMS Sportsbikes took a 5.5 litre V12 engine from the E38 BMW 750iL, which was a long-body 7-series limousine. It’s 5.5 litre V12 engine made 322hp, and was also used in the Rolls-Royce Silver Serraph. As with all big displacement engines, it makes a massive 400Nm of torque from as low as 1500rpm, and this rises to 490Nm at 3900rpm. 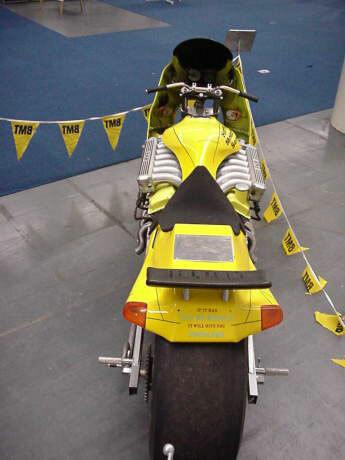 As if those numbers weren’t enough, HMS Sportsbikes also plans to add forced induction and nitrous oxide to the engine, which should bring total horsepower to above the 500hp range. Madness! PRICE CAN NEGO,HAVE 3 UNIT,BMW X5 3.0 xDrive30d,BROWN COLOUR INTERIOR,BANG & OLUFSEN SOUND SYSTEM.